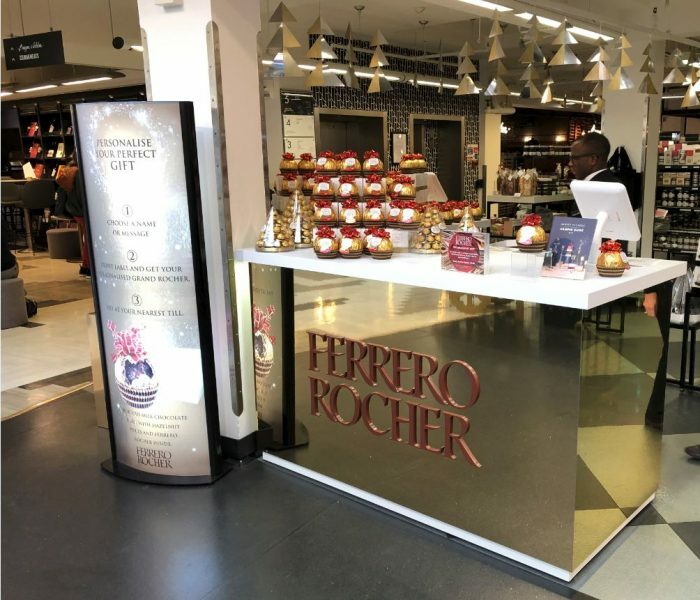 This year Ferrero and Harvey Nichols agreed an exciting opportunity to offer personalised Grand Rocher 125g in the run up to Christmas, providing customers with a unique gift option. 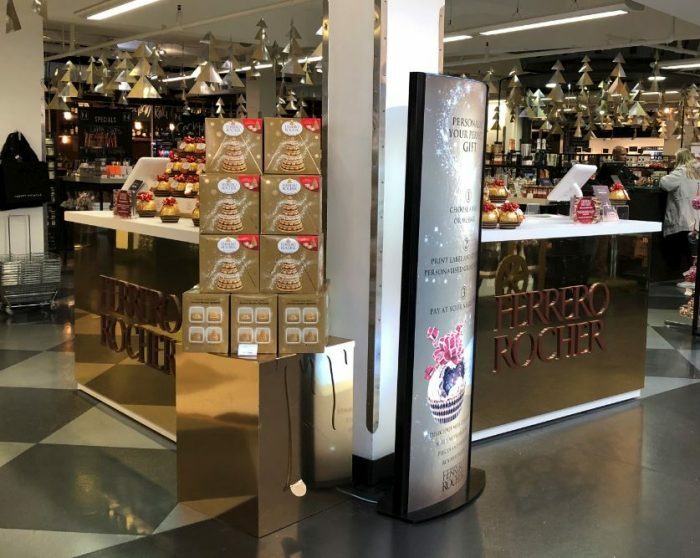 The Ferrero Rocher master brand has an iconic in-store identity which married well with the retailers Christmas palette, allowing us to ensure the brand colours would really shine through in designing both the in-store equipment and the personalisation app. The app pages feature festive colours and pack shots and is designed for a fast and efficient service by in-store staff. Or for better interaction, the customer can input their family and friends names themselves. 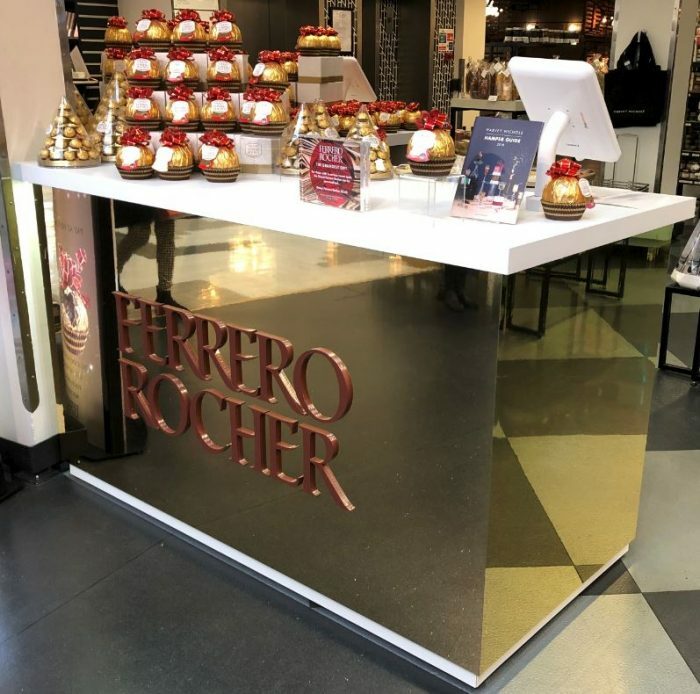 The selected design option required furniture with an unusual mirror gold laminate material for the counter, the largest items in our Grand Rocher zone. Thus providing working space to house the tablets and printers, along with worktop for staff to apply and gift wrap the Grand Rocher 125g. Each site was finished with seasonal ‘dressing’ to accentuate the gifting association and an illuminated totem to advertise personalisation and explain the straightforward path to purchase. Installations for unique product personalisation are based at Knightsbridge and Manchester. 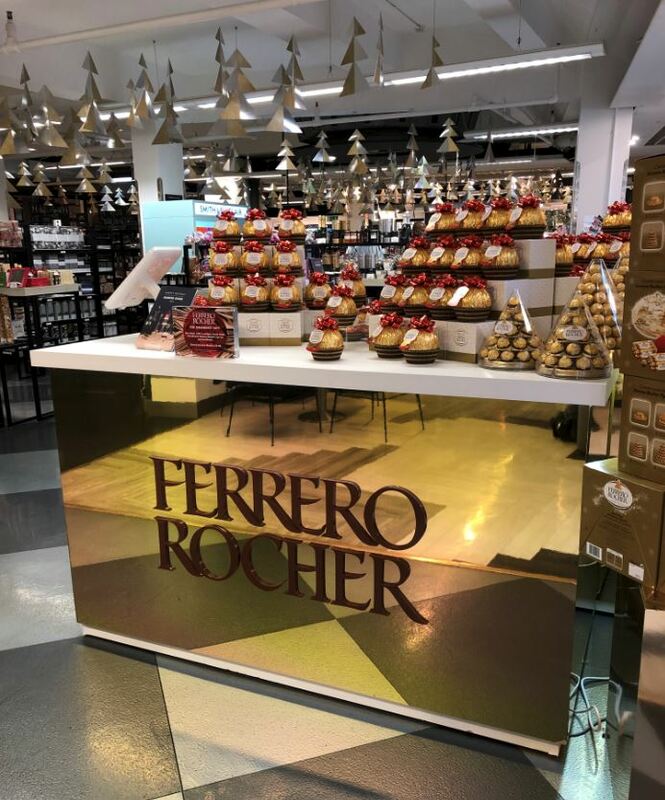 Additionally, there is a tailored opportunity at all stores, with a selection of messages available to customize a Grand Rocher along with gorgeous gift boxes to complete the recipients experience. 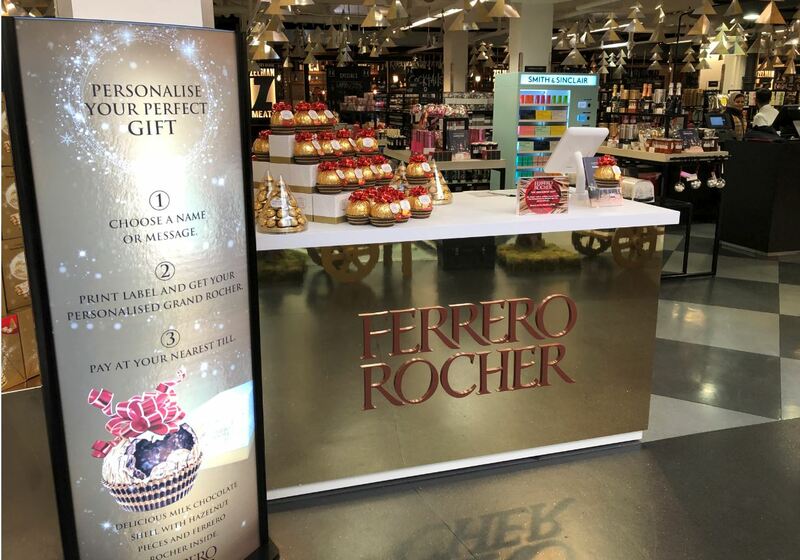 PR support from around Grand Rocher, gifting and seasonal schemes are being used to drive awareness. The end result is a premium customer experience and the whole team are proud of the finished solution.